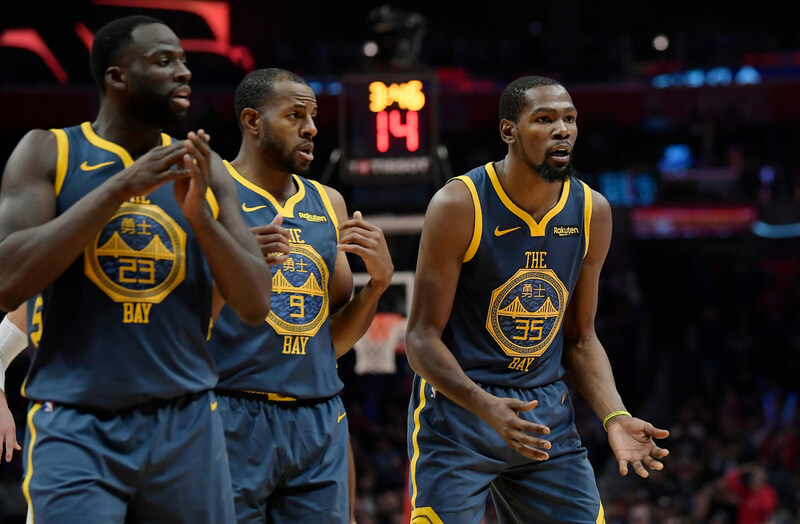 *The NBA is never short on drama, so just as the Jimmy Butler situation has simmered down and been resolved, a fresh topic has emerged: Bickering between two of the Golden State Warriors’ best players, Kevin Durant and Draymond Green. The quick back story is that Green committed a turnover late in an eventual Warriors loss instead of giving the ball to Durant for a chance at a victory. If Green was as expendable as Ty Montgomery — who similarly committed a turnover that took the ball out of Aaron Rodgers’ hands and potentially cost the Packers a win — he would probably be traded immediately as Montgomery was. Instead, Green was suspended one game by the Warriors for conduct detrimental to the team. This probably has more to do with what was said in the ensuing heated bench (and locker room) squabble between the players. The prevailing sentiment is that Green crossed the line and made a remark about Durant’s impending free agency next summer. In the short-term — which includes through the end of this season — the dust-up probably won’t mean much. Even if the two players only reach an uneasy truce, the Warriors are 12-3, loaded with talent and should win their fourth NBA title in five seasons. What this incident does underscore, though, is how potentially fragile the Warriors’ dynasty is beyond this season. Durant and Klay Thompson are both free agents next summer, and it’s widely suspected Durant will sign elsewhere. Golden State won one title (and posted the NBA’s best regular season in history before losing to the Cavs in the next season) prior to Durant’s arrival, so the cupboard wouldn’t exactly be bare if that happened. But star guard Steph Curry will be 31 in March. Green will be a free agent two years from now and might want big money. Durant has basically made the Warriors as close to invincible as possible since his arrival. After this season, Golden State’s prospects will likely be a lot more fragile. *NBA players make gobs of money. Karl-Anthony Towns signed a contract extension that will pay him, starting next season, up to $190 million over the next five seasons. Still, it was a nice gesture for KAT to buy winter coats for the three newest members of the Wolves acquired in the Jimmy Butler trade. Robert Covington posted a photo of the welcoming gift on an Instagram story, and the Wolves confirmed that Dario Saric and Jerryd Bayless also got the practical gifts. *NFL players also make gobs of money. But their contracts tend to be less lucrative and not fully guaranteed compared to their NBA peers, while their careers — particularly for running backs — are much shorter. Against that backdrop, it was interesting to see Le’Veon Bell’s holdout go the distance to the point that he will miss this entire season with the Steelers. The star running back is passing up $14.5 million this year to preserve his body and earn a long-term deal elsewhere next season.